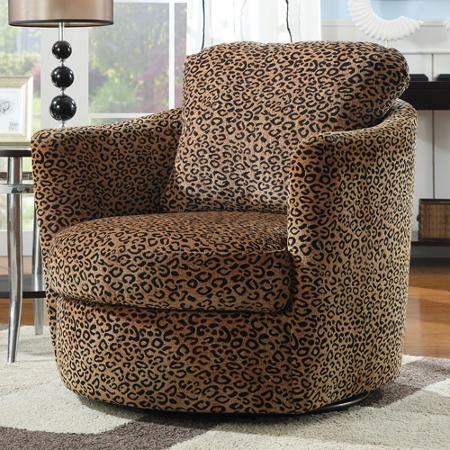 Add a splash of color and style to your home decor with this Coaster Leopard Swivel Chair. With the freedom of swivel mobility, this item offers cozy seating and flexibility. This coaster swivel chair comes with a loose back pillow that can be easily reversed to ensure even usage. It is made from a soft chenille fabric with a decorative leopard design. This chair also features high arm rests for added support and comfort.